View basket “Green Kyanite Stud Earrings #1” has been added to your basket. 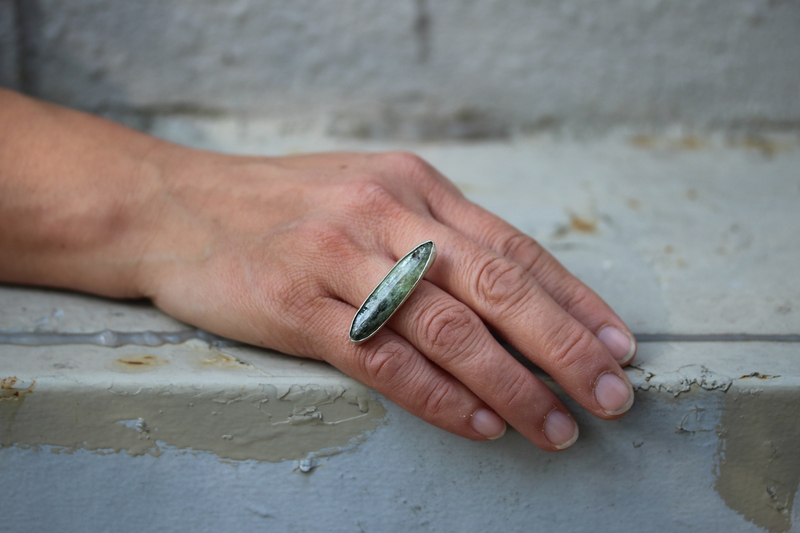 Beautifully rustic green kyanite is bezel set in sterling silver and sits horizontally on fingers. 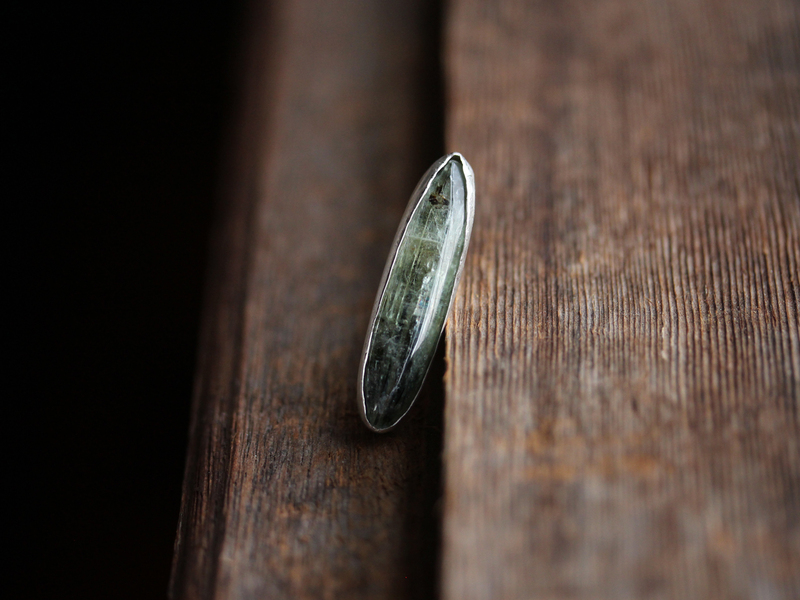 The ring is entirely made in eco-friendly recycled silver. 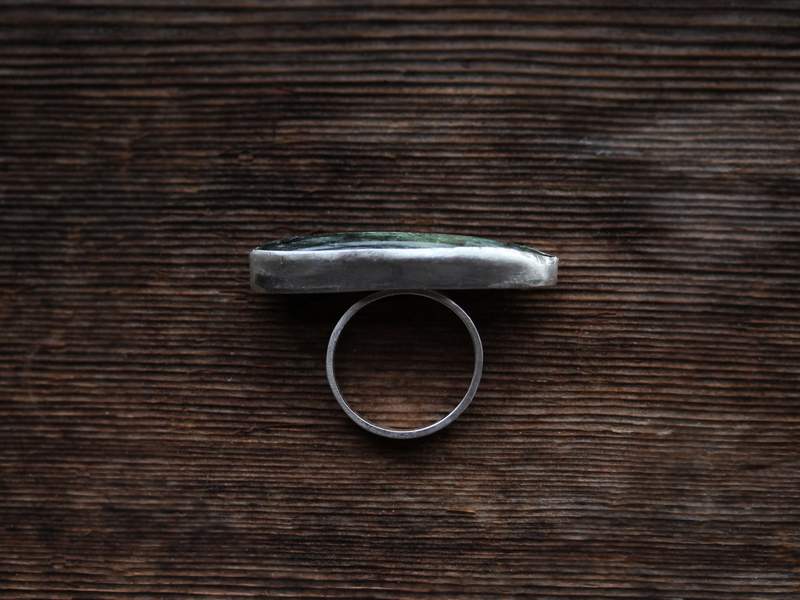 The ring band is 3mm wide and size 5 3/4 (US).